Industry Leading, Comprehensive Guides on each Dental Procedure - Know exactly what you are paying for, and what other dentists aren't telling you! Experiencing pain in the back of the jaw? Do not fear. Wisdom Teeth Extractions are relatively simple and painless. Align your teeth without the clunkiness of traditional braces! Click here to find out if you are suitable for the procedure. Not everyone is suitable for Invisilign. Sometimes traditional metal braces could work best for you. Debunk the myths surrounding the "most painful dental procedure". Here's why you should not fear the Root Canal procedure. A permanent and comfortable, replacement for your missing tooth. Click here to find out about different types of Implants. How often do you really need for a scale and polish? How much should you expect to pay for it? Answer your questions here! Tell us about you symptoms.For example: How long has the pain been there? Sharp/dull pain? Attach a photo, and an X-ray, if possible! Take a photo of your teeth, and if you have an X-ray, even better! A Dentist will Answer Your Question, and Send you the Answer! Bringing a toothbrush kit around town may be a hassle, but I want to talk to you about why you need to start doing so. Coming in for a tooth cleaning every month is a good way to prevent further damage, decay, and problems for your teeth. How to get the best dental care, at the lowest possible price! Dental procedures don't have to be expensive. Find out which procedures are Medisave-claimable. Get an approximate cost with our Cost Calculator! A CHAS card qualifies you for discounted dental procedures, even at private clinics! 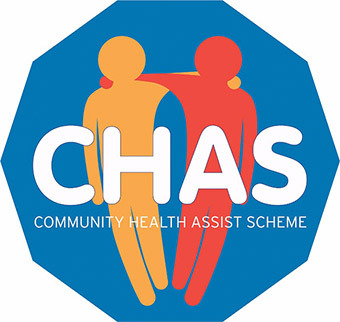 You might qualify for a CHAS card. Find out if you qualify based on your income bracket. Do you know anybody above 65 that needs dental work done? 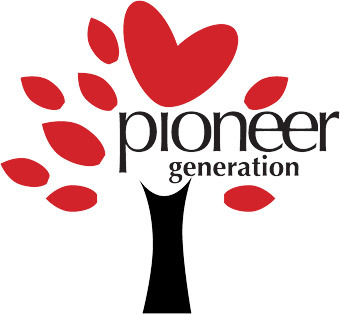 The Pioneer Generation card offers greatly subsidized dental procedures, even at private clinics. Find out if your parents or other family members qualify for this card. Lux Dental is conveniently located near my home so I always look forward to dropping by for teeth cleaning. I've already brought many friends and family to my favorite dental clinic yet! Thanks to Lux Dental, my braces came on and off without a hitch! I had a dentist who checked up on me regularly and made sure I followed every step to get my teeth straight in the shortest time possible. Came in the clinic for a simple check up, and was very surprised with the excellent service! Not only were my teeth well taken care of, I feel a lot more educated on how to better take care of my teeth to prevent any more tooth aches. Happy I discovered Lux Dental - so convenient to be able to have all my dental questions answered immediately. My teeth have never looked better and I've never been this close to my dentist! See why our customers always love coming back to Lux Dental! We love talking about teeth. Here at Lux Dental, we want to educate as much people about their teeth as possible. This means no questions unanswered and all possible concerns addressed. Our goal is to make everyone comfortable with talking to dentists and coming into dental clinics. Name the procedure, and we have a specialist just for it. Lux Dental wants to cater to every type of teeth and address any problem that comes with it. This means having specialists who can provide you with treatment that is specific to your needs. Whether you're coming in for your first set of braces or your first set of dentures, we love interacting with clients of all ages. Our clinic has a wide variety of services so you'll never have to change clinics as you grow older again! Need a Dentist? Speak to one right now!